What child wouldn’t want their own garden inside their house? Creating texture rubbings of outdoor objects will allow them to do just that! 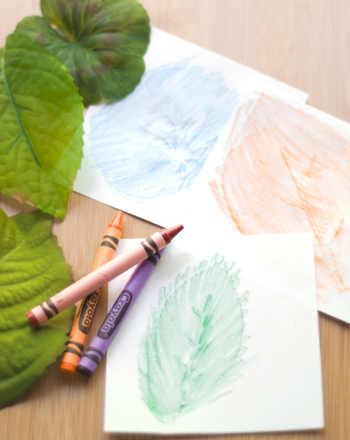 Take a handful of crayons outside and look at all the textures that surround where you live. 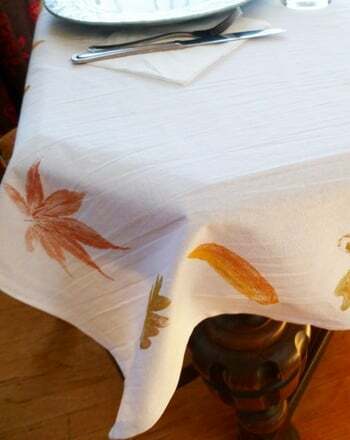 You can discuss objects that are hard, soft, rough, bumpy and smooth. Kids also learn how to alter the pressure of their crayons to get different types of rubbings. If they press hard, it will create a strong image, and softer strokes create a soft, blurry image. 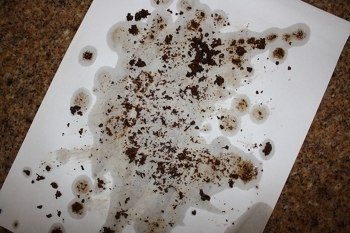 Make rubbings on as many squares as you can and watch your rubbing garden grow! 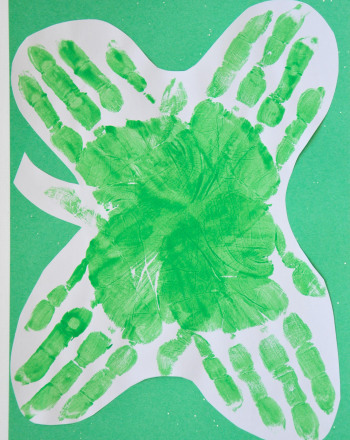 1.Bring your child outdoors on a sunny day and explain to her how to make a rubbing. Give a demonstration of how to place a paper square on top of an object and alter the pressure of the crayon in order to create an impression on the paper. 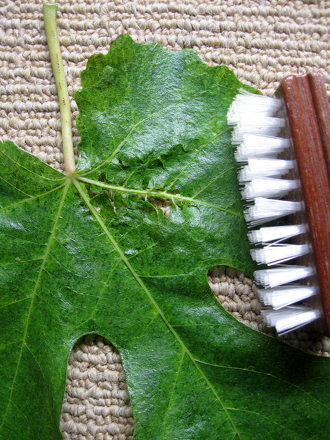 2.Help her search out objects that may need to be cut to use for a rubbing, such as leaves or flowers, and place them on a smooth ground surface to be rubbed. 3.Encourage her to make rubbings of a variety of textures including wood, rocks, concrete, leaves, pinecones, grass, straw and anything else that is visible. Discourage making rubbings of living critters; they may not appreciate the pressure it takes to create a rubbing of their body! 4.Use a glue stick to paste down the squares neatly in rows onto a black piece of paper. Allow to dry. 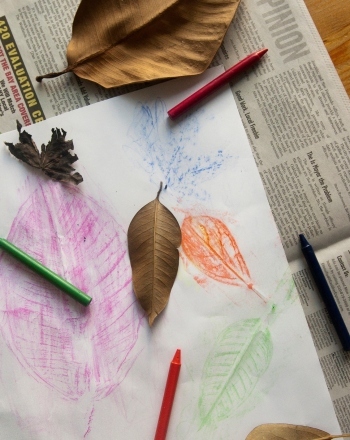 In this project combining nature, art, math, and science, children make rubbings of leaves then observe shapes and structures and sort the leaf images. Get ready for autumn with this fall leaf coloring page! 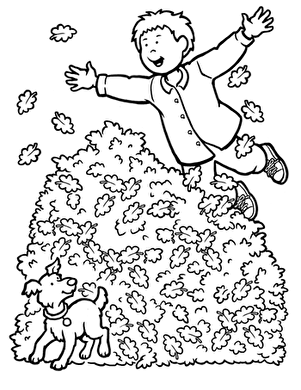 Add color to the boy who's celebrating fall by jumping into a pile of leaves. What does a banana, a leaf, and a tree trunk have in common? 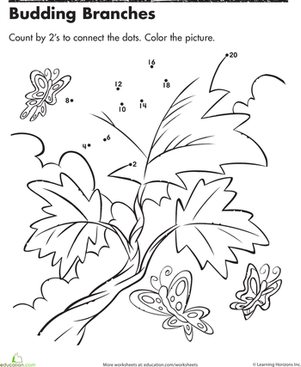 This jungle addition worksheet will challenge your student to count all the different pictures. Leaf begins with the letter L! Color in the flashcards featuring the letter L then cut them out and use them to play memory and spelling games. 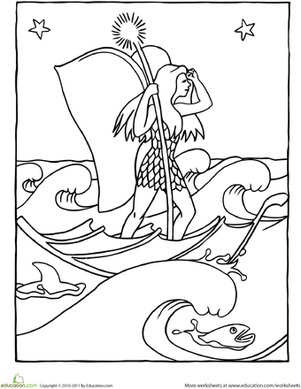 This pretty fairy is crossing the sea, in her very own homemade leaf boat. Urge your kid to pick her favorite colors to fill in this delightful scene.